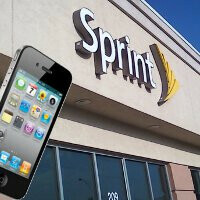 With the introduction of the iPhone 4S with Sprint, we’re sure there are some diehard Sprint customers out there that have been waiting for this day – but even more if they happen to be on Sprint’s SERO Premium plan. Previously, the original SERO plan initially began as a $30 per month option that provided customers with unlimited data, text, picture messaging, and 500 minutes of anytime minutes. However, the plan was only compatible with features phones and select smartphones (which included old school Palm and Windows Mobile smartphones). Now that we know all of that, let’s go back to the iPhone 4S, which isn’t deemed as a 4G device for Sprint. It’s just possible that existing SERO Premium customers will be able to activate the phone with the plan. If that’s the case, we’re sure there are going to be a lot of Sprint customers clamoring for joy – especially if they can retain paying only $40 per month for the service. We reached out to Sprint regarding the matter, but as of right now, there is no word if it’ll be compatible. Instead, they mention that details will surely come out in the very near future to outline the iPhone 4S. If this is true and you dont want to pay for 4G data then the iphone is a great choice on sprint then too. There is no such thing as 4g data. Its premium data as of January. This means that any smartphone regardless of 3g or 4g connectivity will require the 10 dollar data charge. IKingTrust if you even went to the link it just says there is a charge because of the increase in their networks. It really doesn't address anything of how its implemented on sero. If you read the article its pretty clear there is no debate here just f**king learn to read dam it. Glade there is someone who can read here simplyj. You and 87168 are both idiiots. it's a 10 dollar fee to use a 4g device on SERO premium, bringing the total to 50 dollars a month. Leave this thread to people who actually have SERO. no, 87168 and "youarewrong" are both incorrect. Try reading the article CLOSELY before dismissing what people are saying. SERO operates differently than regular plans. $10 for smartphone plus an additional $10 for any 4G phone. This applies only to SERO plans, not EPRP or regular sprint plans, which is exactly what the article said. Please read carefully before complaining. In the context of SERO you are just plain wrong. I just activated an Optimus S and it's $40 month- no extra $10 fee. Cruiserandmax, please try reading carefully before posting. You are not correct. the reason there is no extra $10 fee is because the LG Optimus is not a 4g phone. You're paying exactly what you should be. If you activated a 4g phone, such as the Epic or EVO, you would be paying $50 a month, exactly what the article and others have been saying very clearly now. Please re-read the article completely next time. Bad article. The $10 premium data free is NOT for 4g. And if you think for a fraction of a millisecond the I Phone will be exempt of the $10 premium data fee you are... How they say? Smoking crack! SERO plans are completely different than the regular Sprint plans. On SERO plans, there are 3 tiers. $30 for legacy phones. $40 for Smart Phones w/o 4g. $50 for Smart Phones with 4g. Guys, this article is talking about SERO plans. For SERO plans, 4g does cost $10 on top of the $40/mo, making it a total of $50/mo. The "premium data fee" is for plans which are not SERO. You are absolutely correct. If you have an HTC Arrive for example, you'll need to be on the $40 per month SERO premium plan to use it. On the other hand, if you were to upgrade to an HTC EVO 3D, you'd be required to pay an additional $10 on top of the usual $40 per month SERO Premium plan - bring it to $50 per month for 4G enabled smartphones. Still, that's a good price for any postpaid plan. So far all phones that require the premium data fee on SERO have been 4G phones, right? I was wondering whether the iPhone would be the first non-4G phone to require the premium data fee on SERO. I have no inside info, but it seems to make sense that there is no way Sprint would allow the iPhone on SERO for less than $50, even though it doesn't have 4G. This is why even on SERO they never called it a "4G data fee," always just a "premium data fee." Seems like this would apply to the iPhone which gobbles data like no other phone does. I originally thought that customers would be forced to switch to an everything data plan from their sero plan... we shall see. also, android users eat more data than ios users..
reltm: The LG Marquee was just released on Oct 2nd and its a Gingerbread Android 3G Phone not 4G. I bought it for my fife and it only requires the $40 SERO Premium 500 Plan as opposed to my EVO 4G which needs the additional Premium Data. If the iPhone ends up being the same as the Marquee, I may end up switching to it and save $120 a year. Especially since I have a free Gold Customer upgrade in Dec.
yea... I have 3 lines with sprint with only 1 of the phones being 4G (Epic) and only on that one line I'm charged a additional $10 a month for 4G premium data. I'm on a SERO plan. Normally, they make SERO customers wait to upgrade to the latests gen phones, until after the initial market rush is over with. I'm not sure how long that will take with the iPhone though. I heard from a reliable source(VP @ sprint corporate) that all the iphone ESNs have been blocked from being activated on Sero. You will need an unlimited/everything data plan. They will allow plan changes without upping your contract for sero/sero prem customers. You will pay the regular plan pricings listed on the sprint site. No additional data for iphone is required since it's not 4G. I hope this reliable source is wrong...but there goes my hopes for iphone on sero. that was just too good to be true. yeah right go with sprint if you want s**tty or no signal at all. As Sprint Call center rep, The 10 charge is for ALL smartphones and does NOT apply to only 4g devices, customers who upgrade or activate new service are required to add the 10 premuim data, and customers who already had service and were not on 4g phones and still using 3g devices were grandfathered in BUT if upgrading to a 4g device were required to add the plan, the charge is mandatory but can be waived under certain circumstances through a manager but this applies only to current customers, the fee is not able to be waived for new service. "The $10 Premium Data Add-on charge is necessary on smartphones because these devices on average use 10x more data than an average feature phone. Even with this charge, Sprint customers still enjoy the best value in wireless. Rather than imposing limits and overage charges on data plans for wireless phones as competitors have done, Sprint has extended its $10 Premium Data add-on charge to all Smartphone activations. This is not a charge for 4G service." DomoreEvo, Thanks for you input. You mentioned the 4G Premium Data fee can be waived by a manager for current customors under certain circumstances. Can you please elaborate on what they may be? I've been with SERO (the old $30 plan with an old dumbphone) for more than 4 years, but have been resistant to upgrade to 4g due to the extra $20 monthly for almost the exact same service. Thanks for your help. If and when you get any new details about SERO plan compatibility with the Sprint iPhone, could you please update? Thanks. You can not get any iphone on SERO (Premium) pre-order or initially but maybe in the future. Sprint left the possibility open that they may in a few weeks (or few months) open it up to SERO or other employee discount programs etc. Then again they may not. Right now on iphones and until they say otherwise (which they may or may not do) the best you can do is pay for a full price plan and combine it with a discount as high as 25% if you work at a company such as Chase.